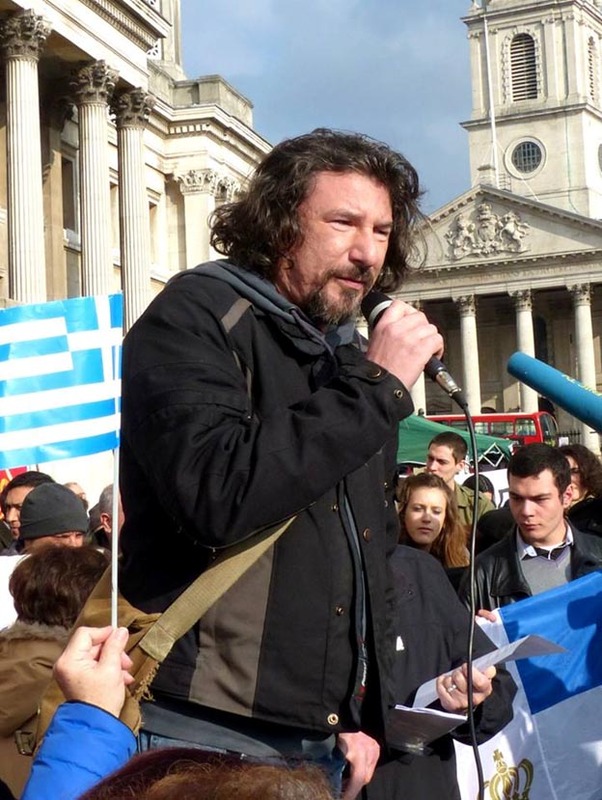 A founding member of Solidarity for All, Christos Giovanopoulos lives in Athens. He is responsible for the international solidarity movement. He holds an MA in Film and TV theory and a political economy degree and he has worked as a visiting lecturer teaching Media and Critical Theory in the University of Westminster, London between 2007-2011. He is a chief editor in the radical left publishing house A/synechia and co-editor of Democracy Under Construction: from the Streets to the Squares. For ongoing information about events in different cities, go to the tour's Facebook page. And don't forget to promote the tour by "liking" the page! The tour is especially timely at a moment when Greece is urgently calling for international solidarity in the face of unrelenting demands for disastrous austerity. "Austerity Is Killing Us: What the U.S. Is Learning from Greece's Fight"
Sponsored by The Nation, St. Joseph's and AKNY. Co-sponsored by Verso, Jacobin, Campaign for Peace and Democracy. This event is free and open to the public. Group drinks to follow, bar TBA. D, M, N, Q, R to DeKalb Station. Take bus (B38) on Fulton Street to Vanderbilt Avenue. 2, 3, 4, 5 Nevins Street Station. Take bus (B38) on Fulton Street to Vanderbilt Avenue. A to Hoyt-Schermerhorn. Transfer to the G.
E, F to Queens Plaza. Transfer to the G. G to Clinton-Washington Station. Kefalos Society of America, Inc.
Come meet Christos in Baltimore! He will be joined by Peter Bratsis and Kostis Papantonakis. Sunday, June 7 • 7:00 p.m.
"Seattle to Greece: Solidarity For All"
"Chicago to Greece: Building Social Movements Against Austerity"
"From the Greek Streets: Grassroots Resistance - Self Organization - Solidarity"
Check the tour Facebook page soon for more details. Saturday, May 30, 10am-11:50am, Rm. 1.69. Chair, Martha Livingston; Panelists, Christos Giovanopoulos, Sean Petty, Martha Kuhl, Adam Gaffney, Mark Dudzic. Sponsored by Physicians for a National Health Program-NY Metro Chapter. "From the Greek Streets: Grassroots Resistance to Authority"
Chair, Athena Hassiotis; Panelists, Christos Giovanopoulos and Sarah Leonard, Senior Editor, The Nation. Sponsored by The Nation, Jacobin, Verso Books, Campaign for Peace and Democracy.